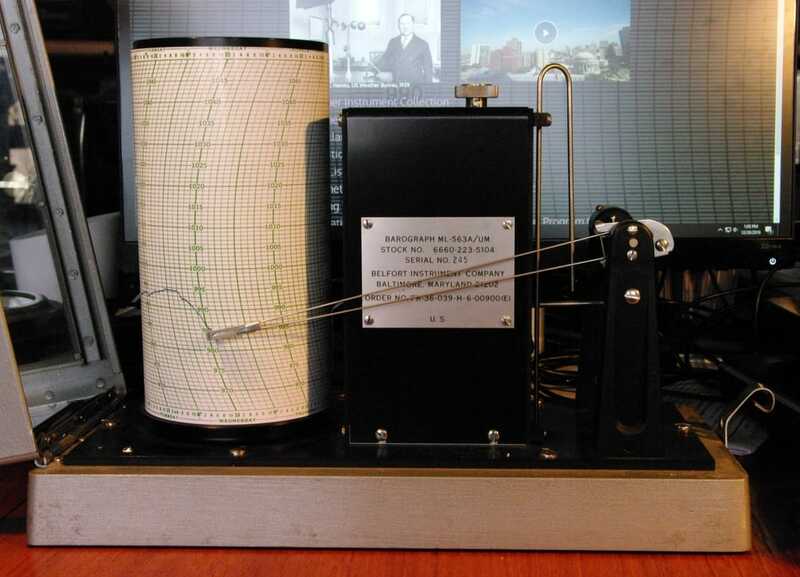 ​This is a Belfort Instruments Model 5-800A microbarograph. It was made for the US Government and bears the military designation ML-563A/UM. I'm not sure of the date of manufacture but the design dates from at least the 1960s. It has a spring-driven 7 day clock drive and works very well. I use a 1071-M chart (available from Belfort Instruments) which ranges from 965 to 1050 mb. One of the last modern microbarograph designs, a very sensitive instrument. Go to Belfort Instruments catalog page.